She couldn't mend his wounded body . . . but could she heal his heart? 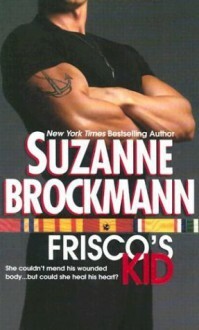 Being a navy SEAL is more than a career to Alan "Frisco" Francisco -- it is his whole identity. But now a bullet has threatened that existence. How can he function in combat when he can barely walk? Still, despite the doctor's warnings, Frisco is determined to achieve a full recovery. But the unexpected appearance of his abandoned niece leaves Frisco with little time for anything but dealing with the five-year-old girl. He knows even less about parenting than about how to mend his broken body. And there is no way he's going to accept offers of help from his neighbor Mia Summerton. He doesn't need anyone's help . . . not to care for his niece, not to learn to accept his limitations and certainly not to fall in love. A quick and easy romance read with a happy ending.